In the morning of August 2nd, we visited Del-Gatto Estates Winery, located in Cape Vesey, in the eastern part of Prince Edward County, Ontario. It should remain the only winery in the East of the island we had a chance to visit because of time constraints. The tasting shed looked a bit lost but was easy to find. 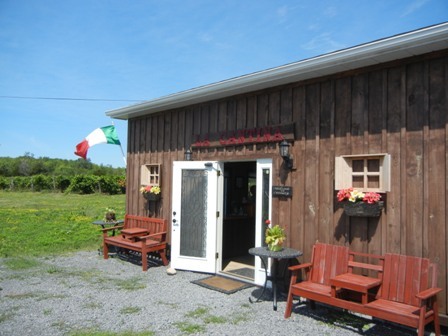 Del Gatto Estate is a family business which was established by Pat and Heidi Del-Gatto in 2002. The land was purchased a year earlier. 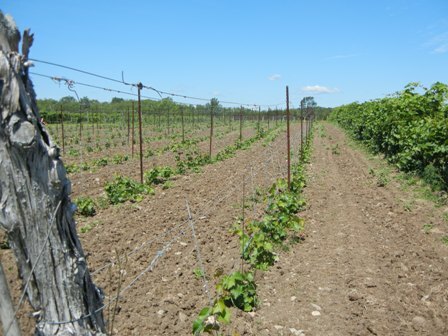 On about 6 acres various grape varieties were planted. Vinifera grapes have a hard time under the harsh climatic conditions found in this part of Canada. Therefore, Pat planted mostly hybrid varieties. Among them are the whites Vidal Blanc, Geisenheim (GM322), Chardonnay, Traminette, Frontenac Gris and Seyval Blanc. The red varieties include St. Croix, Leon Millot, Baco Noir, and Frontenac. 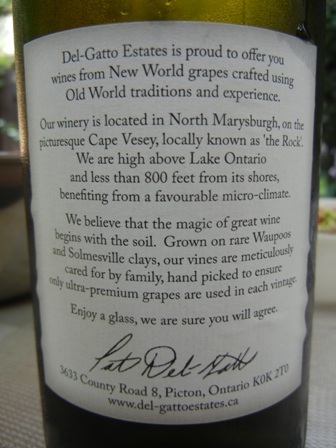 The Del-Gatto vision is “to create quality, hand crafted and distinctive, affordable wines”. 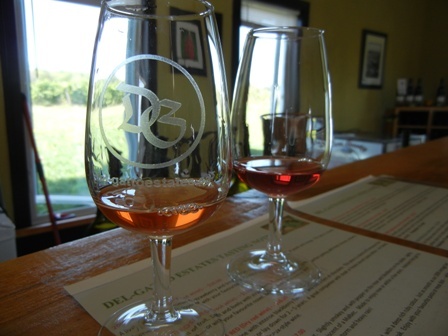 We tried the Vidal and two rosé varieties as well as the Cabernet Franc. All of the wines were quite distinct from what we had tasted so far. The hybrid varieties make interesting wines, usually with high acidity, a modest fruitiness, a medium body and a not too long finish. 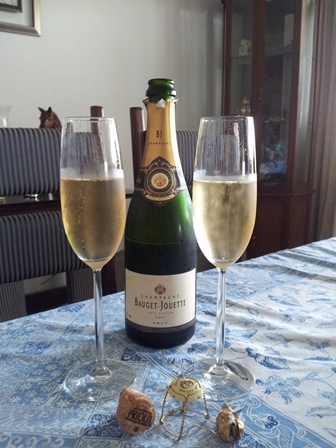 It takes a while to get used to their distinct taste but after that….it’s lovely all the way. Since we could not take many bottles on the plane back to Europe, we decided to buy only two: the Vidal and the Cabernet Franc. The former we consumed with out friends Dominik and Kymm in Stratford, the latter we took back to Bangkok. On the back of the tasting shed, some of the vineyards are located. We found the newly planted lot next to a well established in the photo one below. The stony soils are not very deep but mineral rich. Rare Waipoos and Solmesville clays are found in this part of the island. 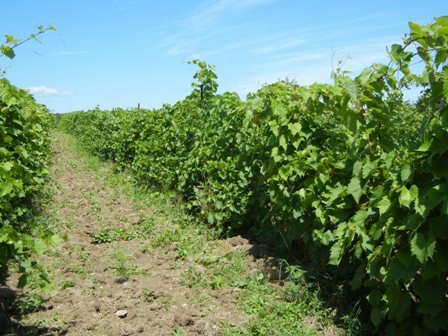 Also terroir and climate are very different in the East of Prince Edward County. We learned that hybrid varieties do not have to be buried in the ground during the ice cold winter, which is also called “hilling” (covering the vines with soil). This saves about 5000 $ per ha. 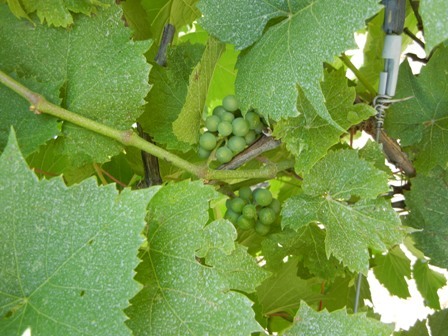 However, vinifera varieties have to undergo this procedure. The de-hilling takes place at the end of April. It is very labour intensive work. 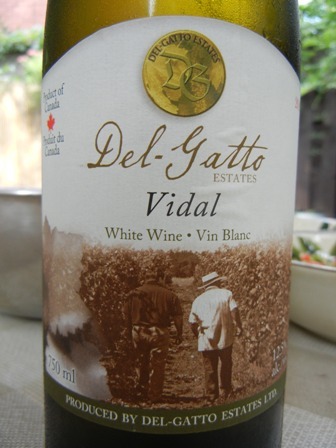 The annual production at Del-Gatto Estate is about 400-500 cases. The cellar door staff was very friendly and helpful. We loved this place, despite the little blandness of the surroundings. 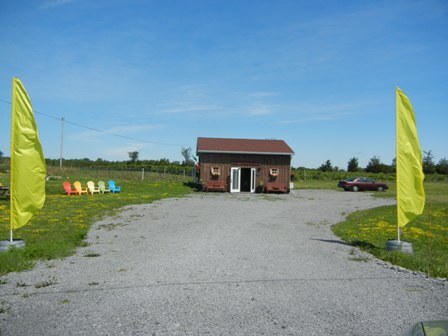 The exploration of the Eastern part of Prince Edward County was truely enjoyable. You should see for yourself. Just below the church of St Martin in the hamlet of St Martin, Pfalz, a very charming little restaurant is located, named ‘Kirchstuebel’, literally translated as ‘the little parlour of the church’. My brother Wolfgang had taken me there for a reunion dinner, just the two of us, on a dark November night. 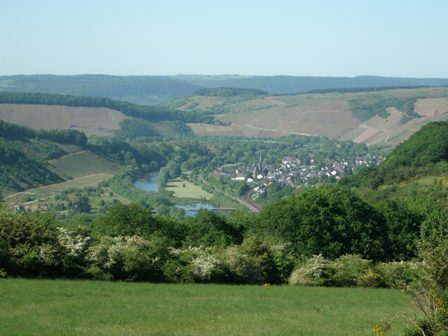 The wine village of St Martin, with about 200 ha under vines, is located right at the start of the foothills of the ‘Pfaelzer Wald’, the hilly forest of the Pfazl region. What a jewel of a little place this is. The country inn ‘Kirchstuebel’ is a rustic, and very cozy family owned and operated restaurant which offers local and non-local food, and a wide variety of local wines. I was hungry and chose tortellini with porcini mushrooms and parmesan cheese. My brother was less hungry and went for a plate of selected goats cheese which was served with local bread. Boy I tell you how delicious these two dishes were, incredible. 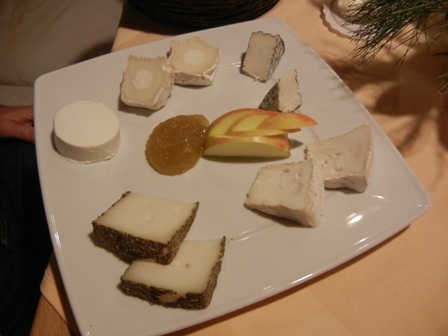 The goats cheese selection contained harder and softer cheeses, some were mellow and creamy, others burly and forceful. My tortellini were just a dream. 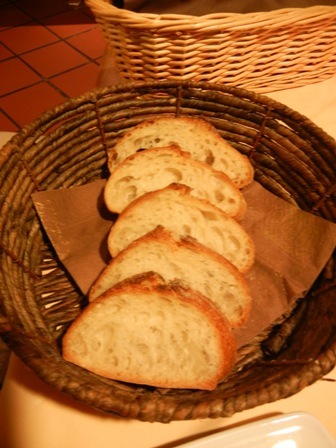 They used an excellent olive oil, and first quality parmesan cheese. I was in “Schlemmer”- (gourmet) heaven. The wine selection is another treasure of the ‘Kirchstuebel’. 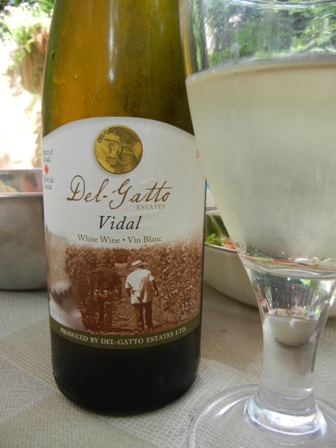 The list includes many locally made wines from St. Martin and vicinity. There is lots of variety and lots of choice. I, of course, went for the truly local stuff. Where could I get a wine from St. Martin when living in Asia, I thought. 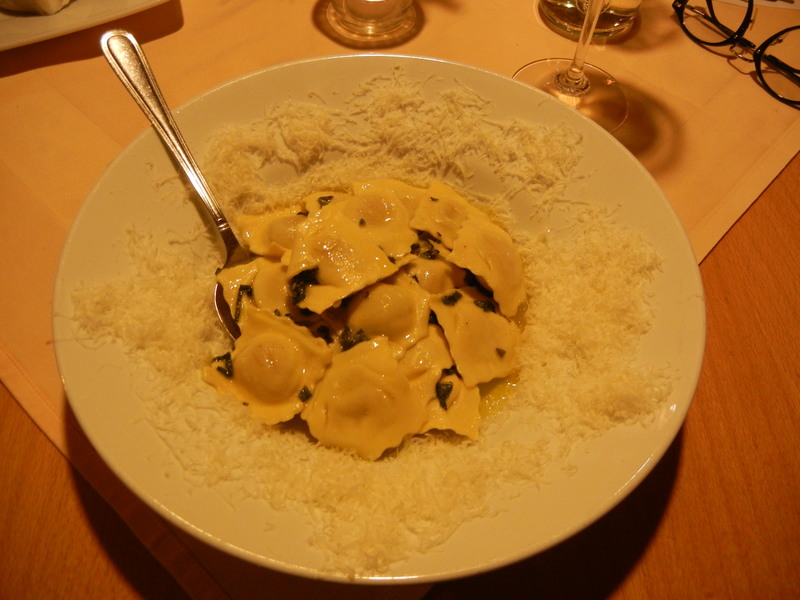 With my tortellini I had a ‘2010 Sauvignon Blanc’ by the Brothers Ziegler Estate (Weingut Gebrueder Ziegler). 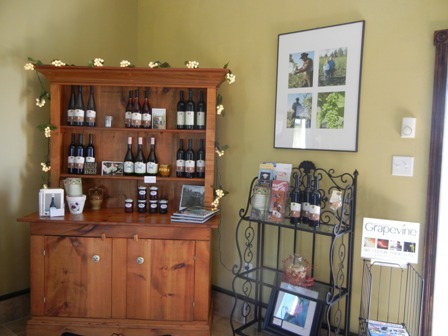 The Ziegler family looks back at 200 years of experience in grape growing and wine-making. 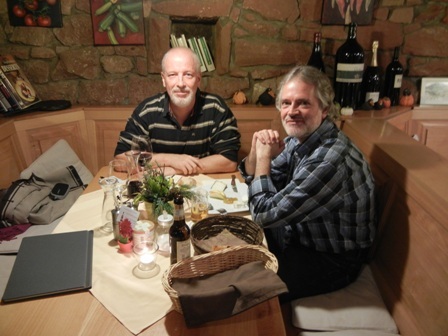 Today, the family business is run be Ulrich (the viticulturalist) and Juergen Ziegler (the wine-maker). The wine has 12% alcohol, residual sugar of 6.7 g and acidity of 6.8. I loved its freshness, with aromas of tropical fruit. I somehow sensed that my brother would not finish the goats cheese, and therefore ordered after I had tasted the SB, a red wine. My choice was a ‘2008 Pinot Noir Spaetlese dry’ by Weingut Roessler-Schneider, a family winery also located in St Martin. Also this wine was very fruity. Cherries and blackberries were the dominant tastes. 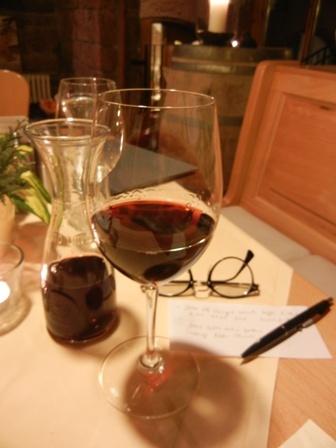 The colour of the wine is dark red, not the murky red of other Pinot Noir wines. I found it a very feminine wine, round and soft, with a presence. Needless to say, we had a great time. I wish for some more of these reunions. Anyway, I will have to come back to this place in the daytime. The village of St Martin seemed so charming in the night, with its narrow little lanes, the old stone and timber framed houses. One must have a great view over the flats of the Pfalz. 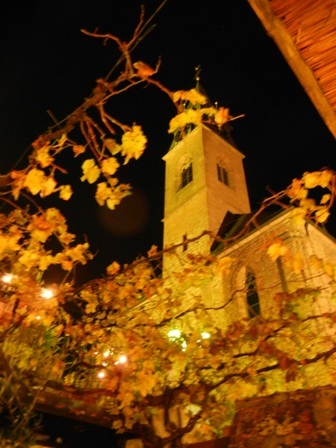 If you visit the Pfalz region, you should definitely make time for St Martin and explore its wineries and country inns. For opening hours, please visit the website! 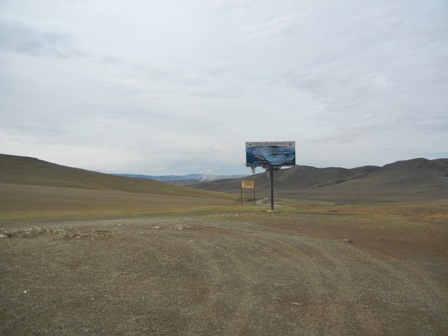 Traveling in Mongolia has its particular challenges. First and foremost, you need a good care, a vehicle which can master potholes, uneven roadsides, gravel and other earthen ground and so on. In short 4WD and SUV models are preferable transportation means. It is also an advantage if you have a few more horsepower then needed in the city to overtake slower traffic, to avoid a collision with a cow, horse or other farm animal and/or an oncoming bus or truck. In short, we did have such a vehicle. 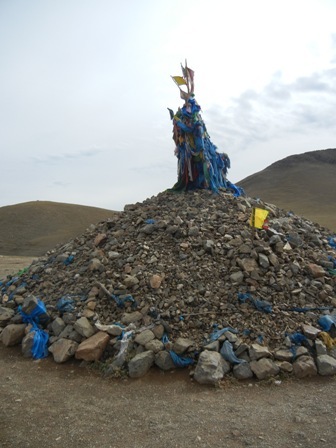 I like the Mongolian custom to stop from time to time at specific locations to pray and rest. Usually one walks around a kind of stupa made from stones and decorated with colourful flags and banners. If you want to, you can also add a stone here and there. Usually one walks around the stupa three times, clockwise. One prays for a safe journey and a good arrival at the final destination. No better occasion for a re-invigorating drink, isn’t it? Thanks to our Mongolian hosts, we did exactly this. But instead of vodka, we opened a bottle of red wine. 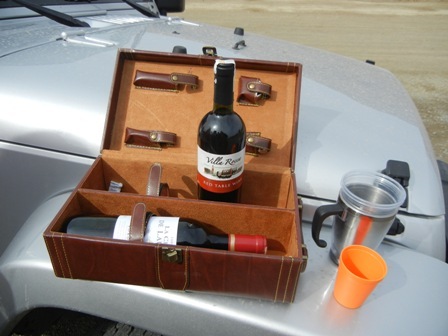 I loved the special wine box with opener and other wine paraphernalia. Note, that the driver should only partake in the drink sharing at a symbolic level. Thanks folks for making our trip to the grasslands such a memorable event. Another very good wine which I had tasted last time I visited Germany was a ‘2005 Lemberger’ by Count Neipperg Estate in Wuerttemberg, the 4th largest wine region in Germany (about 12,000 ha under vines). Lemberger (also called Blaukraenkisch), a late ripening grape, is variety imported from Slovenia in the 19th century. Ever since it is a major variety in Wuerttemberg. The wine is rich in tannins and has a somewhat spicy character. I liked the fruity bouquet. 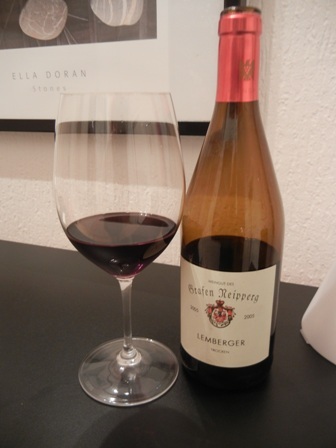 Because of its complex composition of acidity Lemberger has a good aging potential. The locals love it and deem the Lemberger wines superior to any other. The Count Neipperg Estate is located in Schwaigern, near the city of Heilbronn in the north of the Wuerttemberg region. The estate has a long tradition (eight centuries!). The most important locations (terroir) are the ‘Neipperger Schlossberg’, ‘Schwaigerner Ruthe’ and ‘Klingenberger Schlossberg’. 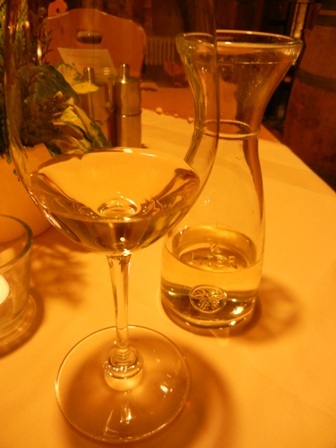 Apart from Lemberger, Trollinger, Riesling and Traminer grapes are grown among others. Since 1971 the Neipperg family has also invested in the French wine industry (Saint-Emilion and Sauternes for instance). Since 2005 vineyards in Bulgaria were added to the portfolio. This was the white wine served at the before mentioned business dinner in Germany. I just loved this fresh, crisp and bone dry Riesling from the Rheingau. 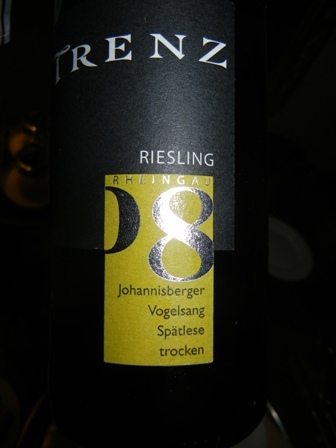 The ‘2008 Johannisberger Vogelsang Spaetlese dry’ by Trenz Estate is a wonderful wine, full of typical Riesling falvours, with a good body and a long finish. 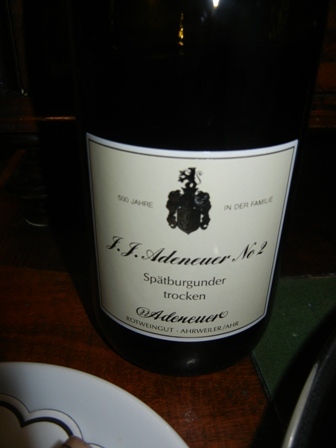 It has a Spaetlese ripeness and the elegant dryness of an exquisite German Riesling wine. I had never heard of the producer, I must admit. Weingut Trenz is a family winery located in the heart of the Rheingau. Johannisberg is one of the most famous locations (terroir) in this lovely wine region. Michael Trenz is a vintner with “body and heart”, as we say in Germany. He carries the family wine-making tradition which goes back for about 105 years! You should visit the place if in Germany. Enjoy the scenery and the wines. I will, when coming from the airport the next time. Well, as you know, I am here in Chiang Mai at the 3rd International Symposium on Tropical Wine to learn (foremost), to meet interesting people from the wine industry (and learn) and to enjoy myself (which is not hard in beautiful Chiang Mai). In the following, I cannot (and do not intend to) present to my esteemed readers all what happened today. Instead, I choose a somewhat eclectic (maybe arbitrary) selection of bits and pieces, incidents, moments of glory which were stuck in my short-term memory and/or excerpts from my notes scribbled in haste on real paper during the symposium. Let me start with the start. I was joined in my morning breakfast on the river front terrace of the hotel by Khun Visooth, CEO of GranMonte Family Vineyard. We had a pleasant chat and got to know each other a bit more. That was a very good beginning, indeed. The opening ceremony, although delayed by some time, was a ripper of an opening. Our Thai hosts did not disappoint us. The podium was richly and tastefully decorated with flower arrangements. 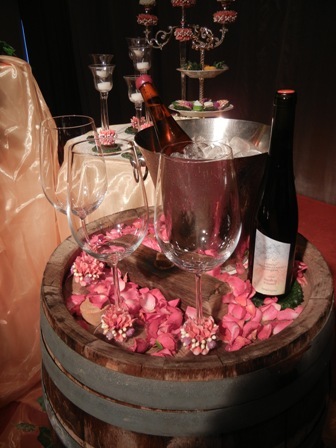 Moreover, wine bottles and glasses on a wine barrel indicated the topic and theme of the event. Even if the hearts of the members of the German delegation from Geisenheim sank for a moment when they spotted their “treasure”, a 1957 (in words: nineteen hundred fifty seven) dry Riesling wine from the Rheingau, which the Germans had presented to the Rajamangala University of Technology Lanna (RMUTL) as a special gift, on the beautifully decorated display, they kept their composure while wildly speculating what would happen to their beloved wine before the event started. We were to find out soonest. 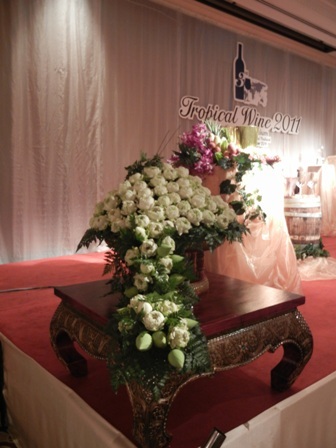 When representatives of the Thai host organizations pressed the “opening button” of the event on an i-pad, the sacred bottle rose from the bottom of the wine cooler it was placed in. Dramatic music accompanied the unexpected and meteoric rise. A waiter made sure that the bottle was liberated from its cork in no time. 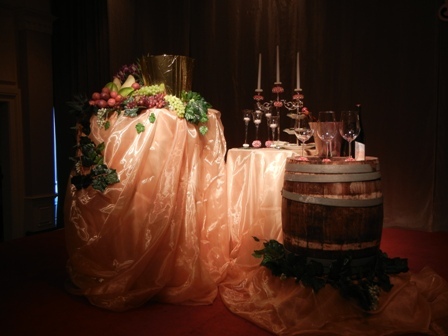 Its golden shimmering liquid was poured into three large wine glasses which were presented to the organizers who toasted to the opening of the symposium. Goodness me, how I envied them. That they could taste the golden liquid of my preferred grape, a Riesling from the Rheingau, a wine only three years my junior, was just unbelievable. I immediately plotted to use an unguarded moment after the ceremony to put my lips to one of these glasses and take a sip of the holy nectar. Wild thoughts darted through my brain. The occasion did not arise. A waiter took care of the matter and brought the half-empty bottle and the three glasses to a safe place. As an interlude, a traditional Thai dance troupe performed a welcome dance for us. Rose petals were gracefully spread around and dancers with fans and dressed in colourful costumes entertained the audience. 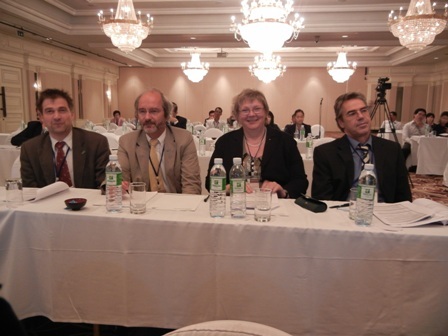 All three keynotes were memorable. 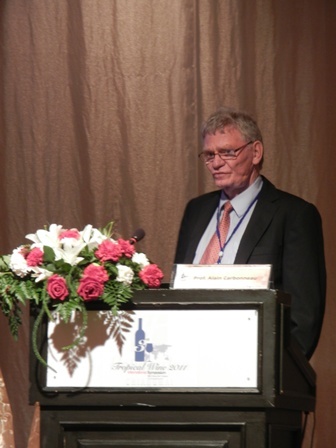 Prof. Hans-Reiner Schultz from Geisenheim presided over the session. First Prof. Alain Carbonneau from Montpellier presented some of the challenges to grow vinus vinifera in the tropics. The flying wine doctor, Dr. Richard Smart, was second and introduced us to the centrality of canopy management for tropical vineyards. This was my first encounter with Dr. Smart. So far I had only studied his famous articles and essays written in many wine industry journals. Now here was the man in full flesh and blood. I was surprised about his creaky voice. But having been “conditioned” by my Australian wife, I am in no way a stranger to Australian accents in creaky voices. I loved his powerpoint presentation. I also learned that he has only recently relocated from Tasmania to Cornwall. 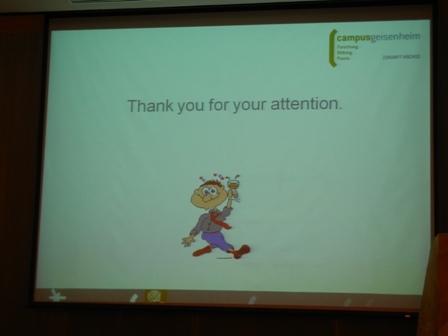 The third keynote was by Umberto Camargo from Brazil. For the first time in my life I learned about the wine industry of this coming economic giant and emerging power of the Latin world. Over lunch I had the chance to meet a couple of wine writers and wine professionals which added to my general knowledge. And as you know from your own experience with conferences, the time after a big meal is the worst of the day. But I made it through. Prof. Monika Christmann from Geisenheim spoke about the current climatic changes and their repercussions on the wine industry in Germany, among them the need to reduce alcohol levels in wine. After the good overview of the Thai wine industry presented by Khun Prayut Piangbunta, the wine-maker of PB Valley Estate, I decided to retire to my room and let the many impressions sink in. I also wanted to write this blog entry in order to have a free evening. Hope you enjoyed the read. Please visit the websites of the organizers and the Thai Wine Association for more information about the event and the Thai wine industry in general. To sum it up: this was a very rewarding day for an amateur like me. Stay tuned to day two of the symposium. 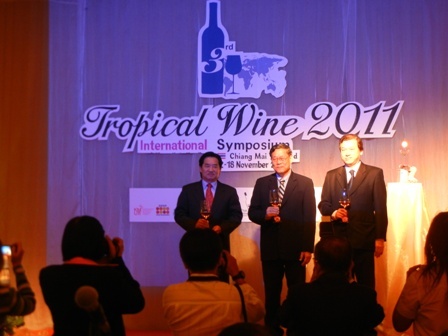 More news from the wine symposium in Chiang Mai is about to come. You are currently browsing the The Man from Mosel River blog archives for November, 2011.